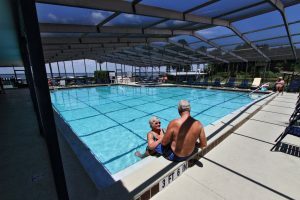 There are plenty of reasons why so many people retire to Central Florida, with the pleasant subtropical climate and abundance of exciting activities to pursue chief among them. But there’s more to retirement than sun and fun. Low-maintenance housing that doesn’t eat up your retirement savings is important, too. That’s one of the reasons that Lake Griffin Harbor offers such a high-value option for older adults who are looking to spend their golden years in Central Florida. Plus, if you bring your boat, you’ll be able to choose between keeping it in our 55-slip marina or our dry storage lot. What’s more, some of the Sunshine State’s top theme parks, sports venues, historic sites, and natural attractions are within an easy driving distance. Contact us today to learn about more great reasons to choose Lake Griffin Harbor when you’re ready to retire to Central Florida. We’ll be happy to arrange a tour for you when you’re in the area.